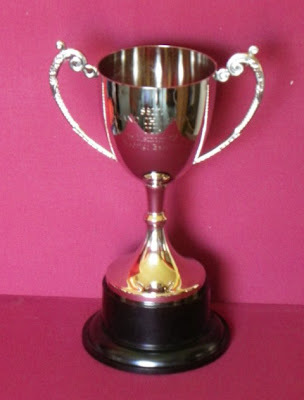 Tomorrow is the SSKC Annual Competition and for the first time there will be awarded a grand champions cup for the under 17 event. The Cup has been donated by two previous members of Selby Club, Luis and Carlos Bastidas in memory of their late brother Rodrigo. All three brothers trained at Selby Club with Sensei Steve Cook and in York with the late Sensei Gordon Thompson. Luis is the club instructor at Rotherham JKA karate club and Carlos is the club instructor at East London JKA Karate Club. Rodrigo (originally from Chile) trained at Selby from 1981 to 1986 when he moved to Germany; on his return to England in 1989 he joined the JKA in London under Enodea Sensei. The Kata and Kumite cups record the names of their respective winners since 1983, nearly 30 years of Selby karate history. Joining us tomorrow we hope to have a few old SSKC karateka helping us provide a competition that Sensei Rodrigo Bastidas would have been proud of. "The most important point is timing"